Someone asked me recently why it is that Clarets Mad are not able to show the full list of fixtures for the entire season. The short answer is money as the Football League own the copyright to the fixtures largely thanks to 2 former Clarets but the full story takes us back to a time when the Football League was quite prepared to take a moral stance on an issue even though it would cost them a fortune in lost money. One of my favourite ever Clarets is a man called Charles Sutcliffe (pictured). He played rugby for Burnley Rovers prior to 1882, and soccer for Burnley FC in some of our first ever matches. If you see a picture of the 1914 FA Cup being presented, he is there behind the King and can also be seen in the photos of the Championship trophy being presented at Turf Moor in 1921. If any man can be called the father of Burnley FC it is undoubtedly him. Not content with his work for the Clarets he was also a senior member of the Football League Management Committee in the 1930’s when a remarkable yet little known episode of football history took place. By the mid 1930’s betting on the results of Football League matches by means of ‘The Pools’ had reached fever pitch. £800,000 was being spent every week mainly by working men compared to total gate receipts of only £48,125 but there was a way that the Football League could make it work for them. It had been suggested that the Football League owned the copyright to the fixtures and that they would be well within their rights to charge the Pools companies for their use of them with the figure of £100,000 a year being mentioned. At the time it was a phenomenal amount of money and more than double the total of the Leagues entire annual income. Of course the game is far more money orientated these days but there is no doubt that the present day Management Committee would roll over frothing at the mouth if someone offered to effectively triple their annual income but back in the 1930’s and led by Charles Sutcliffe they did exactly the opposite. Not only did they refuse to take the money, they saw their control of the fixtures as a means to end what they saw as the evil betting industry. As Charles Sutcliffe saw it the solution was simple. At very short notice they would take the fixtures due to take place on a particular Saturday and replace them with those due to be played a few weeks later. If no one knew which matches were to be played no one could do the pools and the companies would be put out of business. Sutcliffe had an additional reason to be interested, as he literally ‘owned’ the fixtures on behalf of the League because he used to work them all out with the aid of a complex system of charts, which has yet to be bettered by the modern day computer. It was an idea not supported by all, as most fans did the pools themselves but there was no stopping them and as leap year Saturday 29th February 1936 approached not one single fan in the country knew who or where their team would be playing. The problem for the Football League was that they had to inform the clubs that would have the farthest to travel by the Thursday evening to give them time to make the necessary arrangements. It was impossible to keep the secret beyond that time as once one fixture was known it was immediately apparent which set of fixtures were being brought forward and Friday’s newspapers duly published them. The result was that the pools companies were still able to operate as normal but it caused so much confusion amongst the fans that attendances around the country were drastically reduced even though the Football League tried to blame the particularly bad weather. Undeterred by the mounting criticism exactly the same scenario was played out the following week but by now the fans had suffered enough, even those that agreed with the moral stance the League was taking and ‘The Pools War’ ended in abject defeat for Charles Sutcliffe. Although they had won this particular fight the pools companies were still willing to pay the League for the fixtures but the League were not about to get into bed with the people they considered to be the devil. 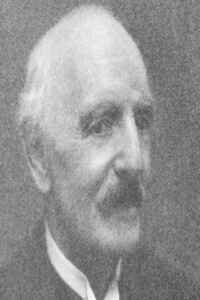 In the fall out of the affair Sutcliffe handed over the legal right to his fixtures to the League and within the month, despite being damaged by the goings on, C. E. Sutcliffe of Burnley became President of the Football League following the death of the previous incumbent. Sadly, Sutcliffe himself died in January 1939 aged 75 but that was not the end of the story. Following his death Charles Sutcliffe’s work at preparing the fixtures for the Football League was carried on by his son Harold and it was left to him 23 years later to stand up in Court and argue that the Football League owned the copyright to the fixtures. 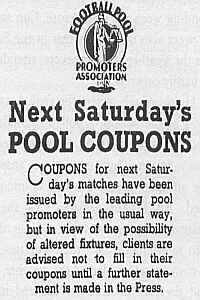 By 1959 much had changed but the pools companies still accepted that they should pay some money for the use of the fixtures as they had all of those years ago and it was something of a ‘friendly’ case. The relevance to today is that the Football League won the case on the basis that the fixtures were a literary work that could only be created by the skill of the person that prepared them namely Harold Sutcliffe and by extension his father Charles who had come up with the system that no-one other than his son understood. With their eventual success in the courts the Football League signed a 10 year agreement with the pools companies for the rights to publish the fixtures which netted them £275,840 in the first year of the agreement alone. If Charles Sutcliffe was resting somewhat uneasily in his grave he was no doubt calmed by the fact that the Clarets went on to lift the Championship trophy again in that very year. When Harold himself passed away in October 1967 there was simply no one to carry on the 50 year tradition of a Claret preparing the fixtures so they resorted to the new fangled computers which they have stuck with ever since. Make no mistake the Sutcliffe’s method would not have seen Burnley travel to the South coast over the Christmas period as will happen in 2002 and the reality is that the fixtures are no longer a literary work reliant on the skill of the compiler but a random collection of facts to which, in theory at least, copyright does not apply. Given the current problems of Football League clubs it could be fairly said that the money provided by the copyright agreement is vitally important and it is probably a good job that nobody has bothered to challenge it because it seems likely that if they did they would surely win. For now, however, Clarets Mad cannot show the fixtures and we have only fellow Clarets to blame. This article was originally published in October 2002. Since the start of the 2004/05 season, Clarets Mad have been able to show the fixtures due to agreements with Burnley Football Club making it possible for us to acquire a licence.